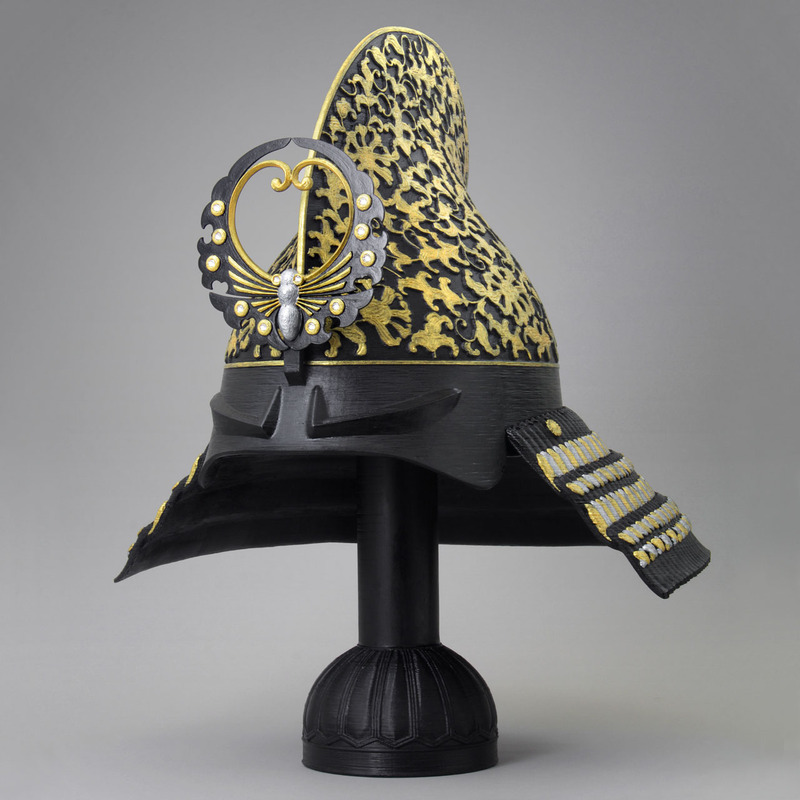 This kabuto is not a replica. 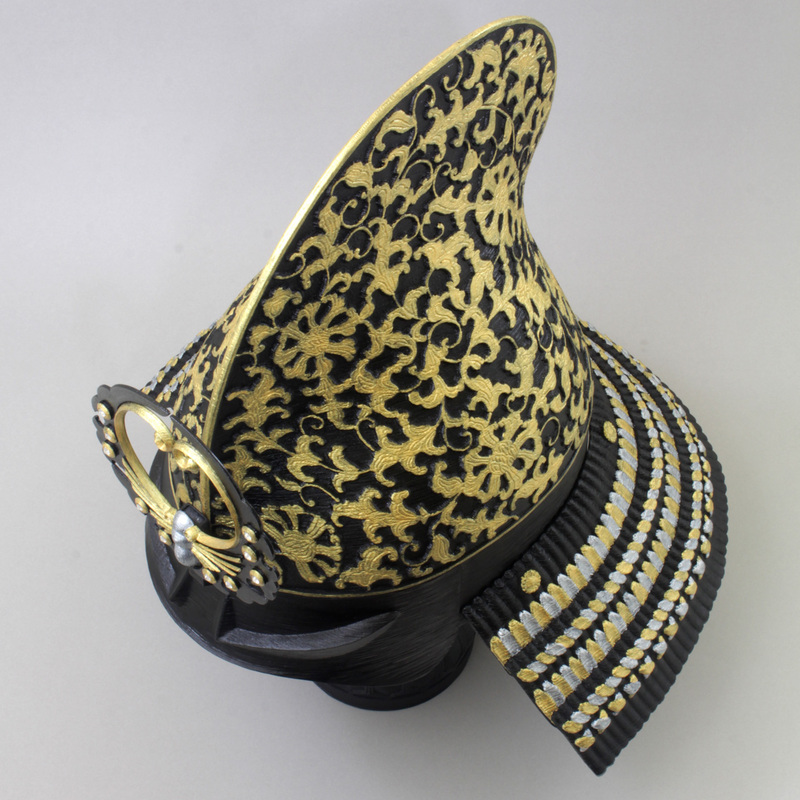 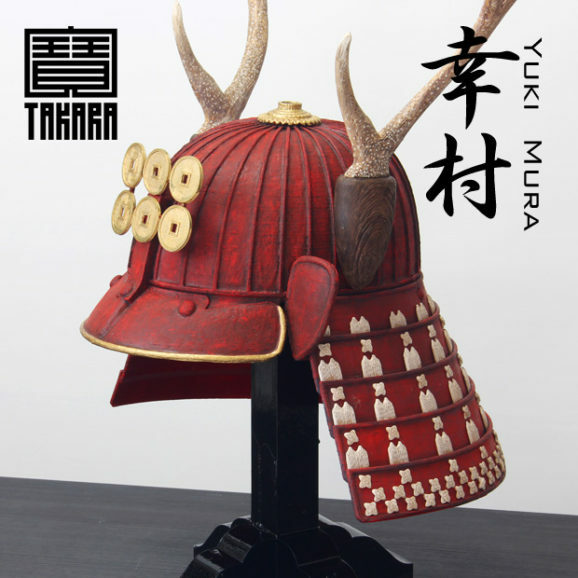 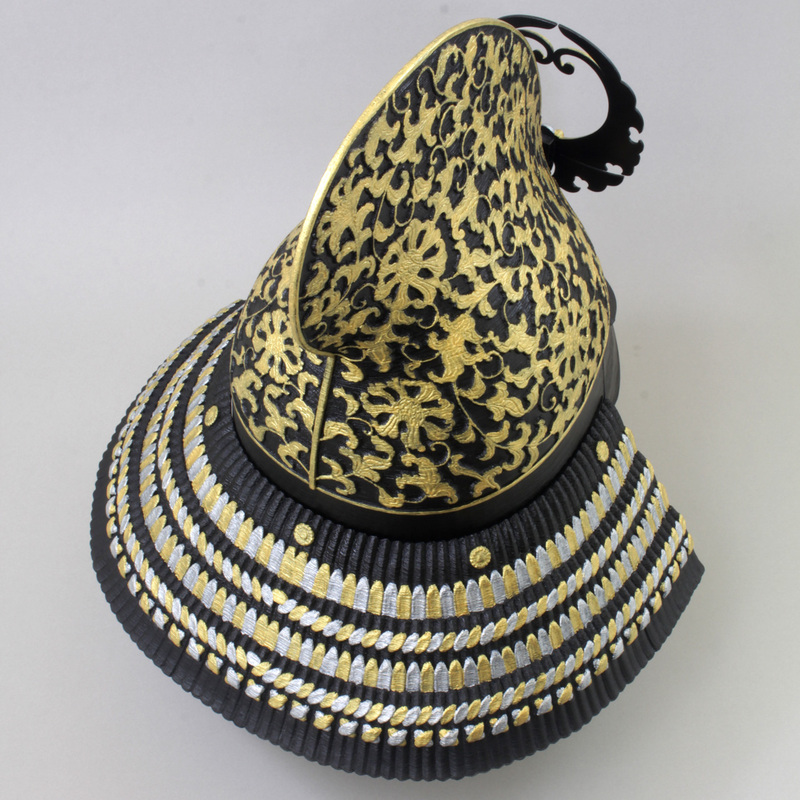 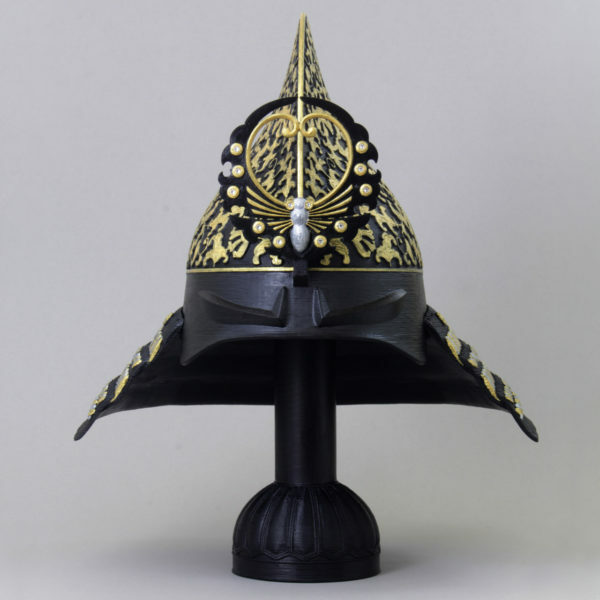 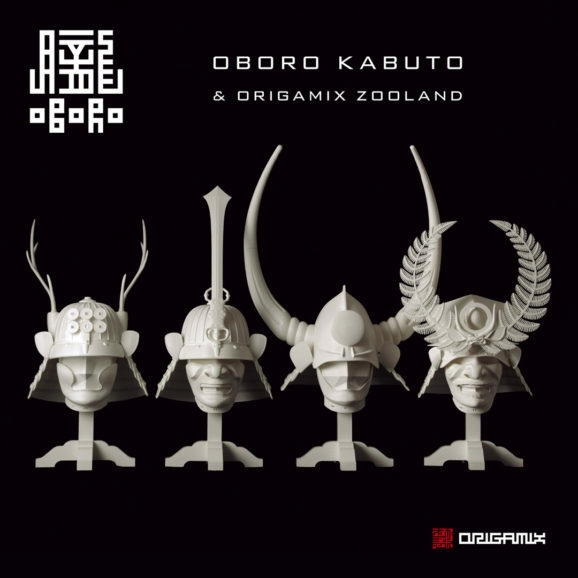 It is an original kabuto that we designed for appreciate while incorporating elements of traditional kabuto. 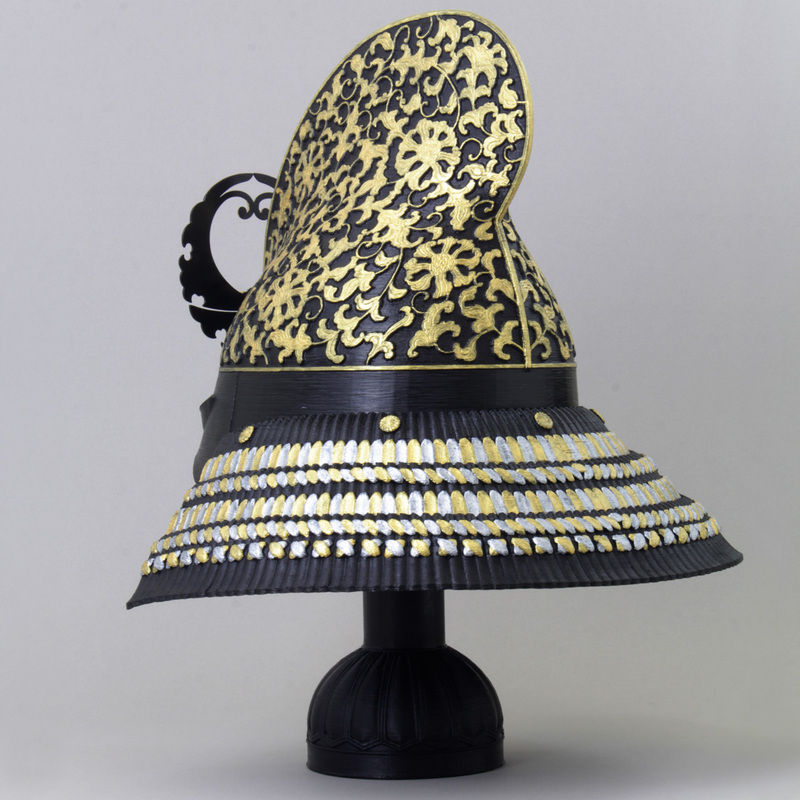 This is one type of kabuto called “Eboshi nari”. 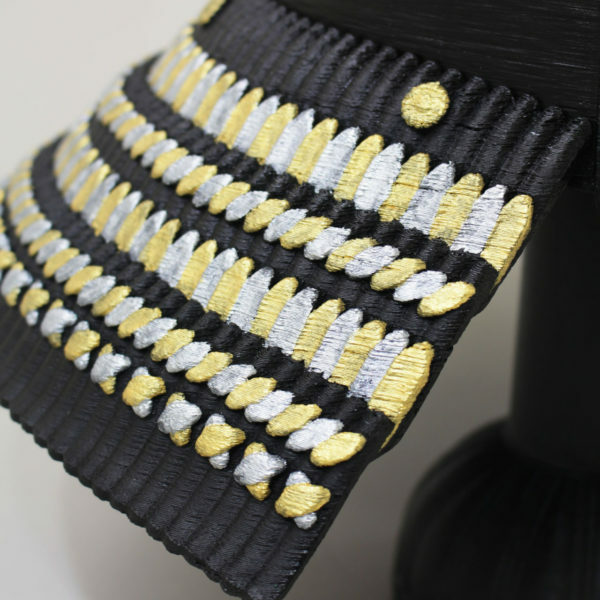 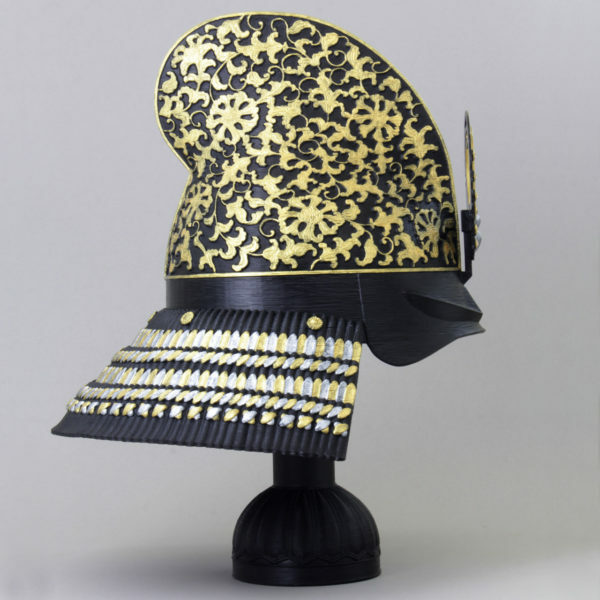 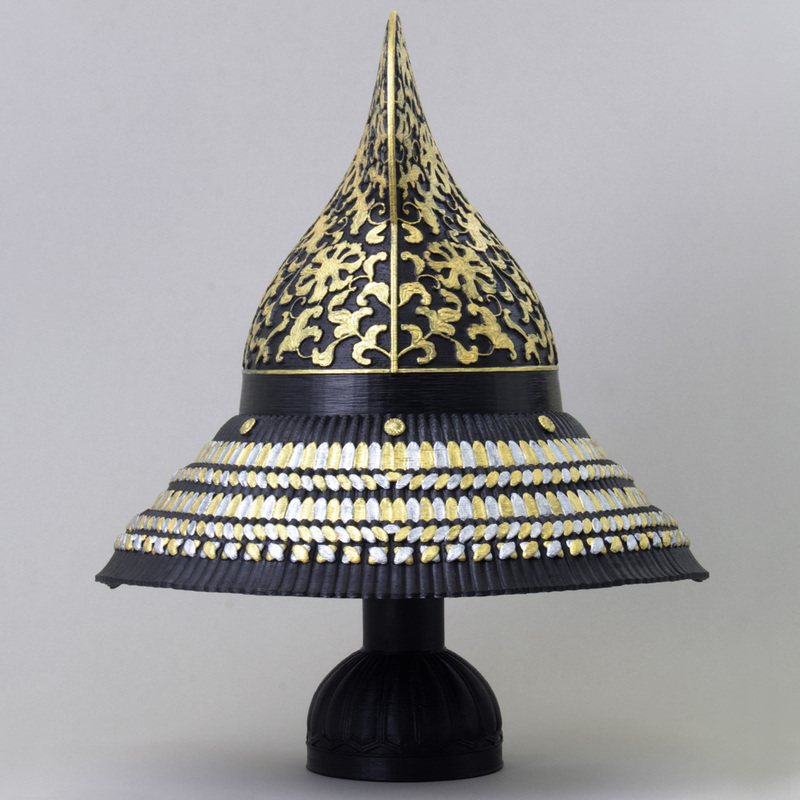 Designed the shape of a hat worn by a Japanese adult male in the Warring States period. 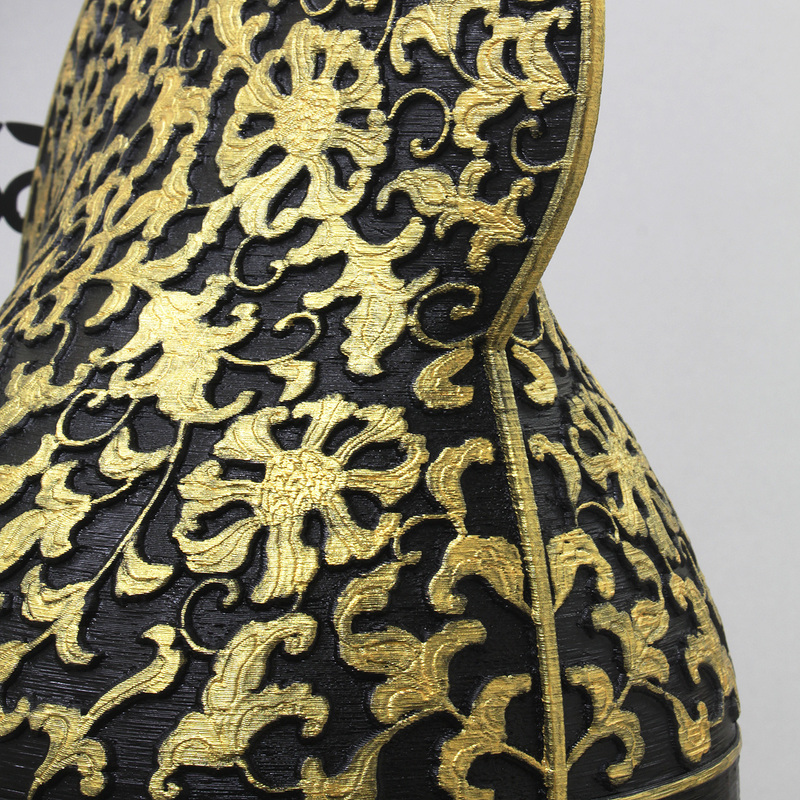 The pattern given on the whole surface is a pattern of arabesque with a fictitious flower called “housouge” which is used to decorate many Buddha statues and temples from the Heian era. 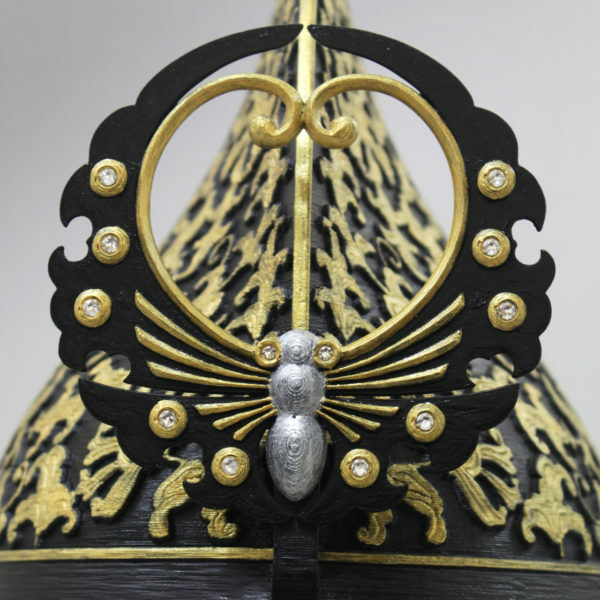 The butterfly’s crest is “Choumon” which is the most elegant crest of Japanese crest. This kabuto is named “Tenshow”. 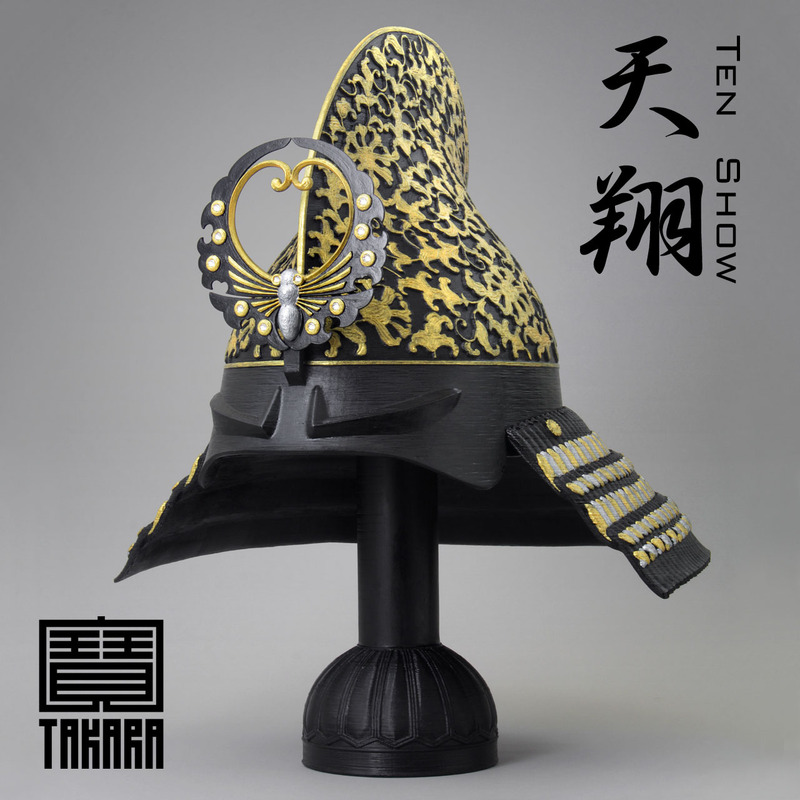 “Ten” is the concept of oriental thought that represents the space and existence above a person. 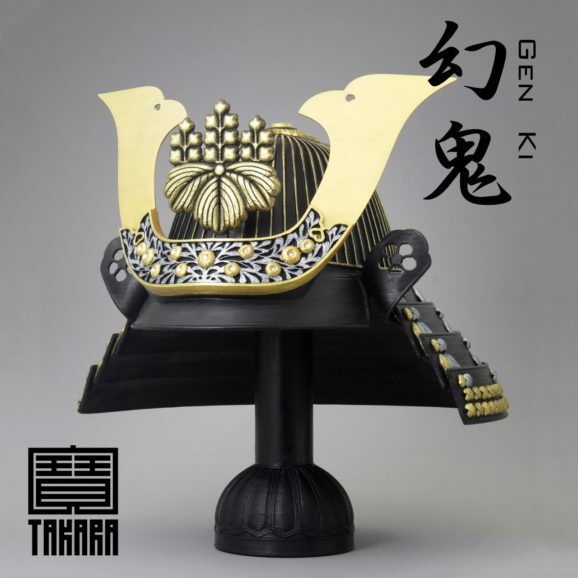 “Show” is to fly high in the sky using feathers.